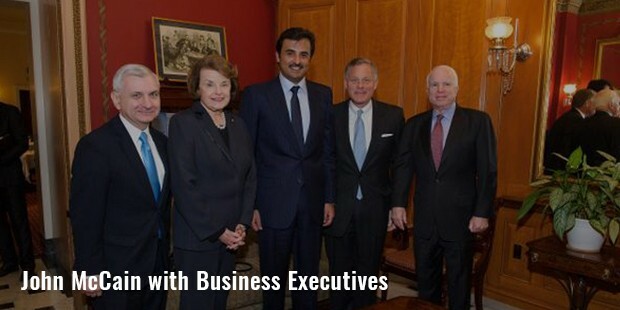 John McCain is a war veteran, present Chairman of the Senate Armed Services Committee and U.S senator from Arizona. He was the Republican presidential nominee in the 2008 United States presidential election. During his 23rd air mission McCain's plane was shot down during a bombing run over the North Vietnamese capital of Hanoi and was taken as prisoner of war in Vietnam between 1967 and 1973. John McCain was born at the Coco Solo Naval Station in Panama on August 29, 1936. His father was a naval officer. Due to his father’s nature of the job he traveled across America and abroad during his childhood. 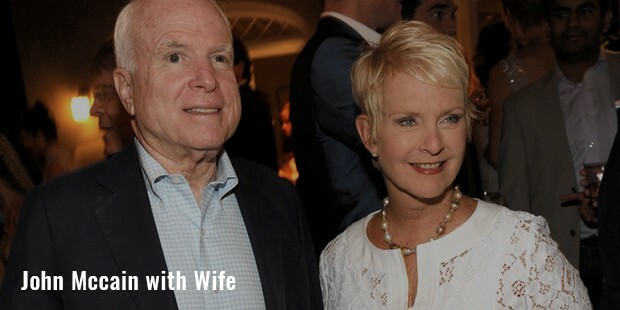 He is the second son of John S. McCain Jr. and his wife, Roberta. 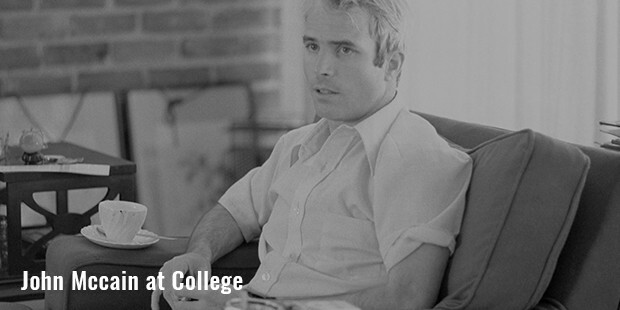 John McCain graduated from Episcopal High School, Alexandria, Virginia in 1954. McCain joined the naval academy at Annapolis and graduated in 1958 and later graduated from flight school in 1960. McCain enrolled in the Naval Academy and was dispatched to Vietnam; he was captured there and was taken as prisoner of war between 1967 and 1973. 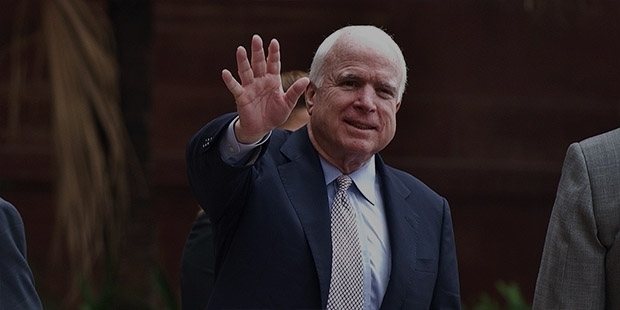 After his release, McCain served as a Republican congressman and senator from the state of Arizona. McCain's introduction to politics came in 1976, when he was assigned as the Navy's liaison to the U.S. Senate. McCain was first elected to political office on November 2, 1982.In 1986, after the retirement of longtime Arizona senator and prominent Republican Barry Goldwater, McCain won election to the U.S. Senate. 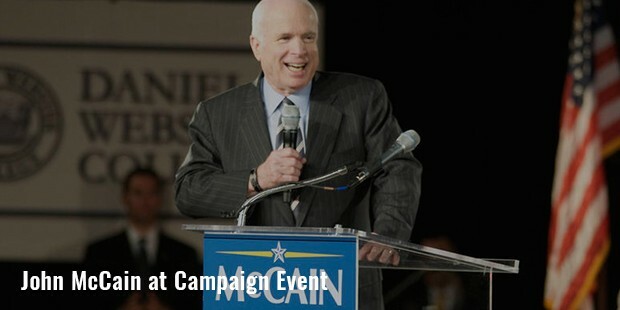 McCain officially entered the 2008 presidential race on April 25, 2007. He and his running mate, Sarah Palin, were defeated by Democrat Barack Obama in the 2008 election. 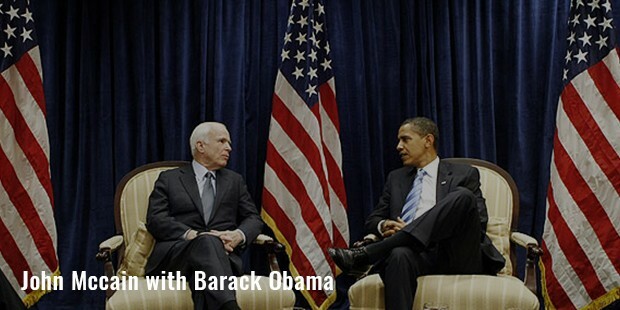 McCain was a vocal supporter of the 2011 military intervention in Libya. In April of that year he visited the Anti-Gaddafi forces and National Transitional Council in Benghazi, the highest-ranking American to do so, and said that the rebel forces were "my heroes". He became one of the most vocal critics of the Obama administration's handling of the September 11, 2012. McCain served as senator for five terms and was 2008 Republican nominee for President of the United States. His is reputed as a "maverick politician" with firm beliefs and a quick temper. Many were impressed by his willingness to be extremely open with the public and the press. Though McCain had lost most of his physical strength and flexibility, he was determined to continue serving as a naval aviator. But it soon became clear that his injuries had permanently impaired his ability to advance in the Navy. McCain earned the Silver Star, Bronze Star, Purple Heart and Distinguished Flying Cross. McCain married, Carol Shepp in 1965 and later married Cindy Hensley in 1980. He has 7 children. His son John Sidney IV graduated from U.S. Naval Academy in 2009 extending the military tradition to fourth generation. Columnists Robert Robb and Matthew Continetti have used a formulation devised by William F. Buckley Jr. to describe McCain as "conservative" but not "a conservative", meaning that while McCain usually tends towards conservative positions, he is not "anchored by the philosophical tenets of modern American conservatism." In 1999, McCain published Faith of My Fathers, the story of his family's military history and his own experiences as a POW (prisoner of war)John McCain is a war hero, politician and always expressed his opinions strongly. 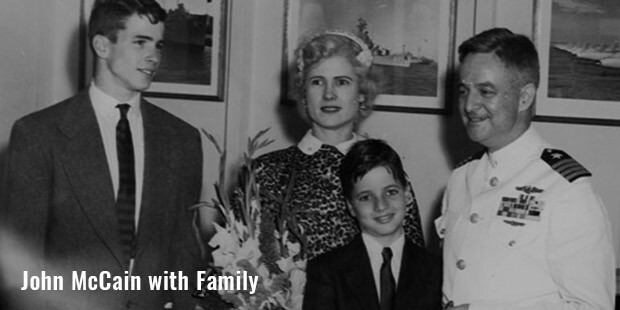 McCain continued his family tradition of serving in military. Above all his determination in life is what makes him the person he is. Injured in war, taken as prisoner and even after the military career he served his country at various positions. 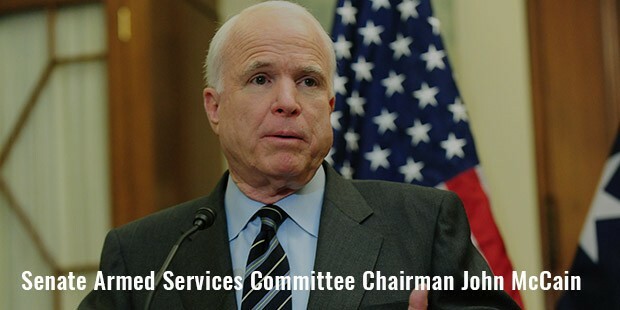 He is currently serving as Chairman of the Senate Armed Services Committee.